For the second time in three years, a waterway in the Endless Mountains Heritage Region (EMHR) has been nominated for Pennsylvania’s “River of the Year.” In 2016, EMHR and the Susquehanna Greenway Partnership (SGP) successfully petitioned area residents to cast enough online votes to secure a win for the North Branch Susquehanna River. EMHR serves as the water trail manager for the North Branch, and the designation led to numerous celebrations along the river in Bradford, Susquehanna, and Wyoming counties. 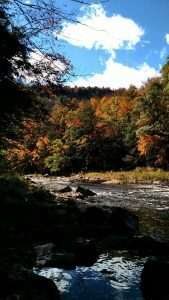 This year, the Loyalsock Creek, the headwaters of which begin in Sullivan County is one of five waterways across the state that have been nominated by DCNR, the PA Organization for Watersheds (POWR) and the PA Environmental Council. Other nominees are Connoquenessing Creek, Little Juniata River, Lackawanna River, and the Lower Susquehanna/Susquehanna Riverlands. The Loyalsock Creek is revered for its natural beauty, trout fishing, spring kayaking, and a healthy home to the Hellbender – the largest native amphibian, growing to two feet or more in length. Due to its rapid plunge through mountainous terrain, the 64-mile long Loyalsock is prone to erosion and sedimentation changes. Its designation as 2018 River of the Year will help government and non-government organizations actively addressing the issue leverage additional funds for creek bank stabilization and habitat restoration projects. Just 10 days into voting, which began on Nov. 21, the Loyalsock had an impressive lead at 38 percent, with the Connoquenessing Creek and Lower Susquehanna running close behind at 25 and 20 percent, respectively. Voting ends on Friday, Dec. 22, and the winner will be announced in early January 2018. Loyalsock Creek has yet to win the annual contest, though the North Branch Susquehanna River has garnered the top prize five times since the promotion began in 1983, and Meshoppen Creek in Wyoming and Susquehanna counties won in 1993. 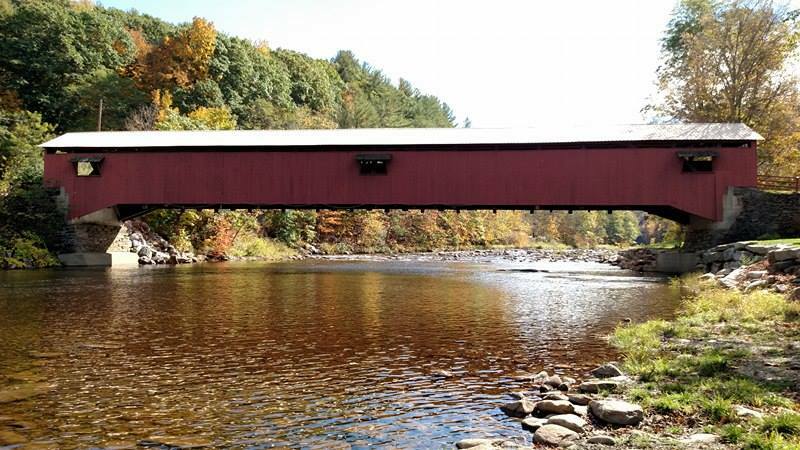 To vote for the Loyalsock Creek as 2018 River of the Year, log on to www.pariveroftheyear.org and click on the “Vote Here” tab and enter a verifiable email address. After clicking on the word “vote” under the photo of Loyalsock Creek, a “Thanks for Voting” page should appear, showing the current tally.